He still has to be sentenced by Judge Eduardo Robreno, probably sometime in the spring, on a racketeering charge to which he pleaded guilty as part of his cooperating agreement. Monacello said he's not concerned about going to jail. Jail, he insisted, was never the issue. He cooperated, he said, because Ligambi and Borgesi "screwed me over." And while his testimony didn't result in convictions -- the defense in both cases hammered away at the credibility and motivation of the government's key witness, especially Monacello -- he said he believed his decision to cooperate and help make the case landed both Ligambi and Borgesi in jail. Both were denied bail after the indictment was handed up in May 2011. "These two guys screwed me over," he said, "so I guess I gave them 30 months to sit." Returning to the same points he had made from the witness stand -- and that two juries had largely rejected -- Monacello said he cooperated not because he feared going to jail, but because "I wasn't going to do time for Joe Ligambi and Marty Angelina." Monacello testified that while running a bookmaking and loansharking operation for Borgesi, who was in jail on a 2001 racketeering conviction, Ligambi and Angelina were constantly horning in on and undermining his business, business that he claimed was generating cash to support Borgesi. He also took another verbal shot at Borgesi's brother Anthony who, he said, was always "stabbing me in the back even though I was supporting his brother." He referred to Anthony Borgesi as Fredo, the weak-willed Corleone brother in The Godfather saga. Monacello's take on the Philadelphia mob headed by Ligambi and Borgesi is hardly the stuff of the Mario Puzo novel. It's not about honor and loyalty, he said, but rather money, greed and treachery. And he admits he was right in the middle of it, making money, busting heads and doing whatever was necessary to survive. Among other things, Monacello acknowledged, as he had on the witness stand, that he plotted with an associate, Frank "Frankie the Fixer" DiGiacomo to assault Angelina. Monacello was unaware that DiGiacomo was wearing a body wire and cooperating with authorities at the time. Looking back on it now, he said in a phone conversation this afternoon, "The mistake I made was not cracking Angelina's head open myself" instead of going along with DiGiacomo's suggestion that he, DiGiacomo, hire two thugs to carry out the beating. Monacello said again that he believed Borgesi was going to kill him "because I broke the rules" by plotting to attack Angelina, a "made" member of the mob. Angelina, Ligambi, Borgesi, Monacello and 10 others were indicted in the racketeering case. Angelina pleaded guilty prior to the start of the trial and was sentenced to six years. Monacello said his own sentencing guidelines were 60 to 72 months and that he could have done the time. He refused to cooperate in 2008 when he was charged in a Delaware County case that foreshadowed the federal charges that came three years later. "I didn't do this to get out of going to jail," he said. "That was never the issue. I just decided I wasn't going to do a day for Joe Ligambi or Marty Angelina." Now he sits back and waits -- for his own sentencing probably and for what comes next for his former partners-in-crime. 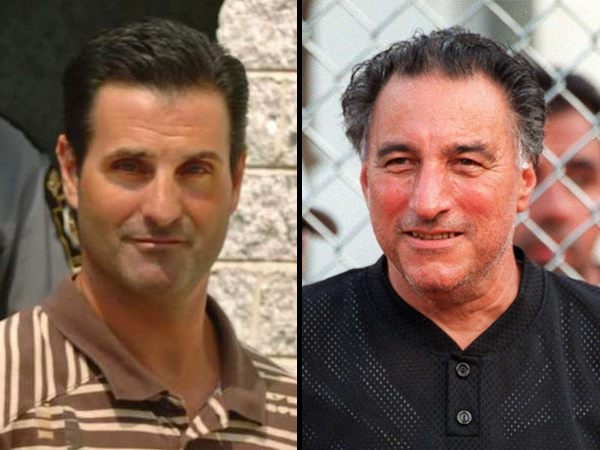 He believes there are murders -- Ralph Mazzucca, John Casasanto, Raymond "Long John" Martorano -- that can be tied to his former "friends." Whether the government has the will or the evidence and witnesses to make those cases, however, is another question. Monacello clearly hopes it happens. "I'm sitting at the beach waiting to see what (Anthony) Nicodemo and (Ron) Galati do," he said of two potential witnesses who are facing a series of criminal problems (Ed note, see yesterday's story.). "There's a racketeering-murder case waiting to happen, and the best part is it doesn't have anything to do with me." Monacello believes he is done testifying. He also insists he is done with life in the mob. "I did a lot of bad things," he said in an earlier conversation, "but I never murdered anybody. You have to draw the line somewhere."